When planning a trip somewhere, you don’t just simply go from one location to the next. Housing needs to be determined beforehand. Short term housing can provide the safety and security you want and doesn’t have to be very expensive at all. In fact, a great many of these locations are almost worth packing up and moving to right now out of sheer cost of living. Below are just a few of the places you can live in for the very short term that don’t have to cost you a lot of money. 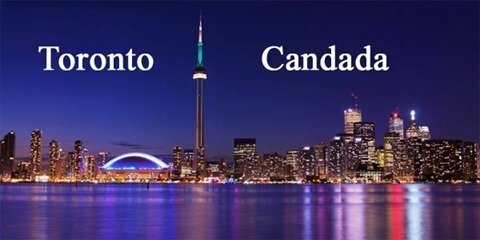 -There are many great areas one can stay while visiting Toronto, Canada for a short period of time. Many of these are furnished apartments and condos that could run from $1,200 per month for extended stays. However, many short term possibilities are obtainable at the rate of $29 per day and up for completely furnished and Internet ready studios such as a small bachelor apartment near Warden Subway Station. There are many countries that may require a visa in order to visit or transit through Canada, although the United States isn’t one of them. A list of these countries is provided here. – It’s amazing to see how much further your money can seem to go depending on the area you decide to live in. Locations such as the Wonderful Homestay in Royal Park located in Beijing, China not only has spacious living quarters, but also access to a swimming pool, aerobics studio, and a beautiful view for $920 per month. That is a better deal than what most Americans pay for their homes in the United States. These services also provide a nightly and weekly rate that is an affordable price for nearly anyone. Visas and passports are required to enter China prior to your trip. Without these forms on your person upon arrival, you could be faced with immediate deportation at your own expense. Child abduction laws also tighten security by making it mandatory to have documentation proving your child is your own. – Visiting the Philippines, one may want to stay for more than merely a few days. It is a tropical paradise with an amazing cultural heritage located in one of the most beautiful areas on the planet. 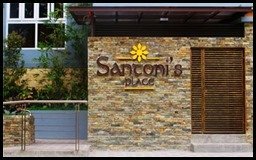 Comfortable living can easily be obtained at Santoni’s Place for short durations ranging from $26 per night with options for weekly and monthly rates. This apartment complex is just minutes from Cebu’s major shopping districts and is in the heart of the city. For stays under 21 days, a tourist or business visa is not required for the Philippines. According to VisaHQ.com, any stay longer than 21 days requires the tourist or business visas to be completed. Before you plan your next move, research the area you are heading to. You don’t want to arrive and be without a place to call home even if it’s for a very short amount of time. Sure, you could check into a hotel. But why spend that much money if you don’t really have to? Ken Myers is an expert advisor on in-home care & related family safety issues to many websites and groups. He is a regular contributor to www.gonannies.com. You can get in touch with him at kmyers.ceo@gmail.com.